June 15, 2015 - St. Boniface, Winnipeg, MB - CanPay Software Inc., an industry leader for payroll and HR software solutions, announced that June 2015 will mark the 30th anniversary of the company’s founding, and the launch of its newest internet-based payroll solution and website to support its ongoing nationwide presence. To mark this milestone, CanPay is officially launching eNETEmployer - a comprehensive web-based Payroll, HR and Employee Scheduling solution. "This online software tool represents the newest in internet-based technologies and offers our customers a secure and flexible environment in which to work with their payroll." said Lyle Scammell, President and CEO at CanPay. "eNETemployer offers a unique new spreadsheet-approach to payroll and our current customers are already realizing and applauding their improved workflow." Matt Allard, City councillor for the St. Boniface ward, was on hand to visit CanPay's head office as part of their 30th anniversary proceedings. "It's wonderful to celebrate CanPay's uniqueness and their ongoing success over the past 30 years." said Allard. "I'm proud to support companies like these that make up an integral part of our local business community. " 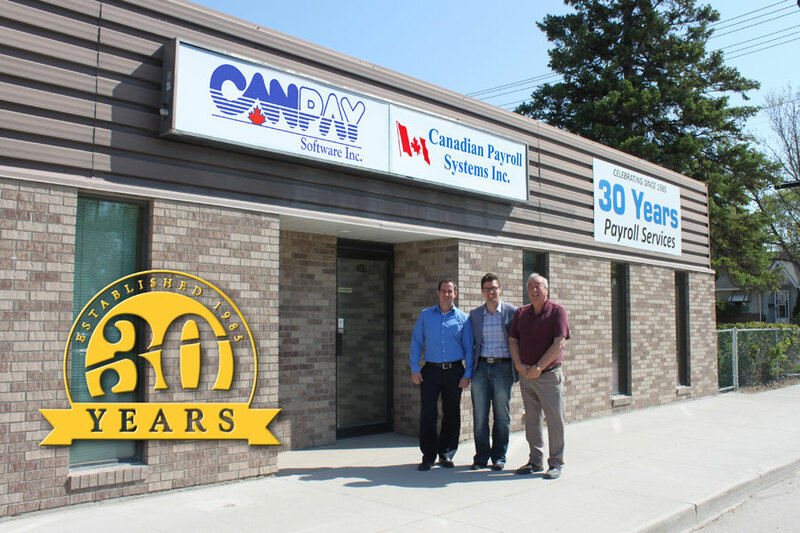 Thirty years ago, Mr. Scammell founded CanPay on a basic premise - that businesses could perform payroll processing in-house to achieve a significant cost saving over the traditional outsourcing method. Scammell's recognition of the growing PC market allowed the company to capitalize on this foresight and to pioneer the GrandMaster PC-based software tool for small to medium-sized businesses. In 1998, CanPay again led the industry by becoming the first Canadian company to offer an internet-based software solution for payroll processing. CanPay - that remains a privately owned business with its head office in St. Boniface - is now co-managed by Lyle's son Curtis Scammell, Head of Software Development. "Maintaining a business for three decades is challenging in any industry - I'm very proud to have been a part of my father's success" said Curtis. "It will be our ongoing job to continue meeting our customers' needs and to stay ahead of emerging technologies. We thank our dedicated customers for their support in helping us achieve this significant milestone." About CanPay - Since 1985, CanPay Software Inc. has been providing organizations with effective, proven payroll software solutions. Today the company is proud to serve thousands of Canada's most progressive and respected organizations from coast-to-coast who look to us for their payroll and HR needs. Customers recognize CanPay's software tools as the standard for reliable and secure payroll processing across the Internet. CanPay is a proud member of the Canadian Payroll Association.